Absolutely awesome property in a great location. This property features 51.50 acres of rolling hills (wooded), pristine farm land, and the Sloan Creek. 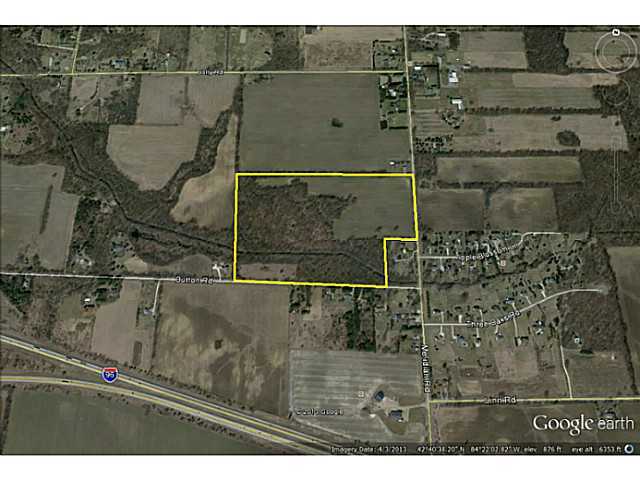 Property has approximately 20 acres of tillable farm land, currently planted in winter wheat. The remainder of the property is wooded and rolling. Sloan Creek running through the entire property. This is the perfect property for an executive homestead. Have complete privacy and seclusion and only be a stone throw from downtown Okemos. This property sits just a quarter mile south of the intersection of Jolly and Meridian Roads on the West side of the road and has approximately 700 feet of road frontage on Meridian Road and 1500 feet of road frontage on Button Road. All of the rights will transfer with the property including mineral and land division rights. For additional information on this property click here. Posted on June 26, 2013, in All Other Listings, Vacant Land. Bookmark the permalink. Leave a comment.